Mandatory spring watering restrictions are in effect through April. 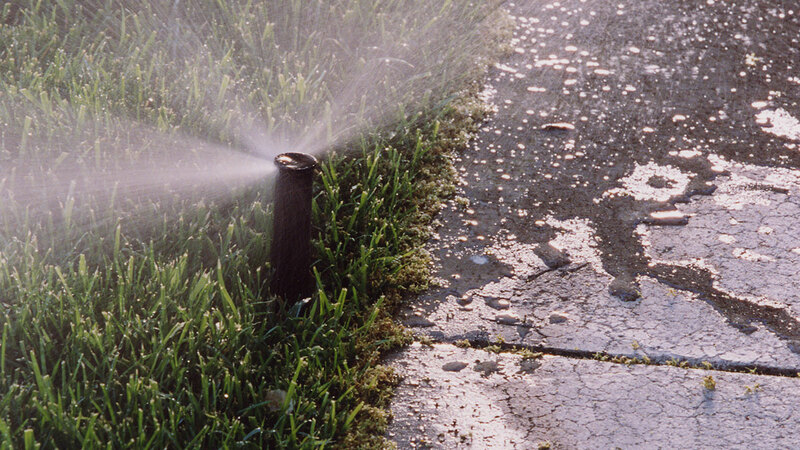 Set your sprinkler and drip irrigation to no more than three days a week to avoid a water waste fine. Just because you can't see them, doesn't mean they aren't real! 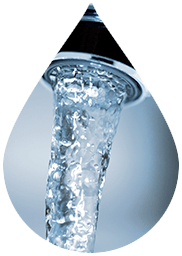 Leaks can waste thousands of gallons of water in and around your home each year. 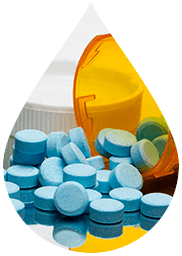 Cash in on one of our water-saving coupons or rebates! 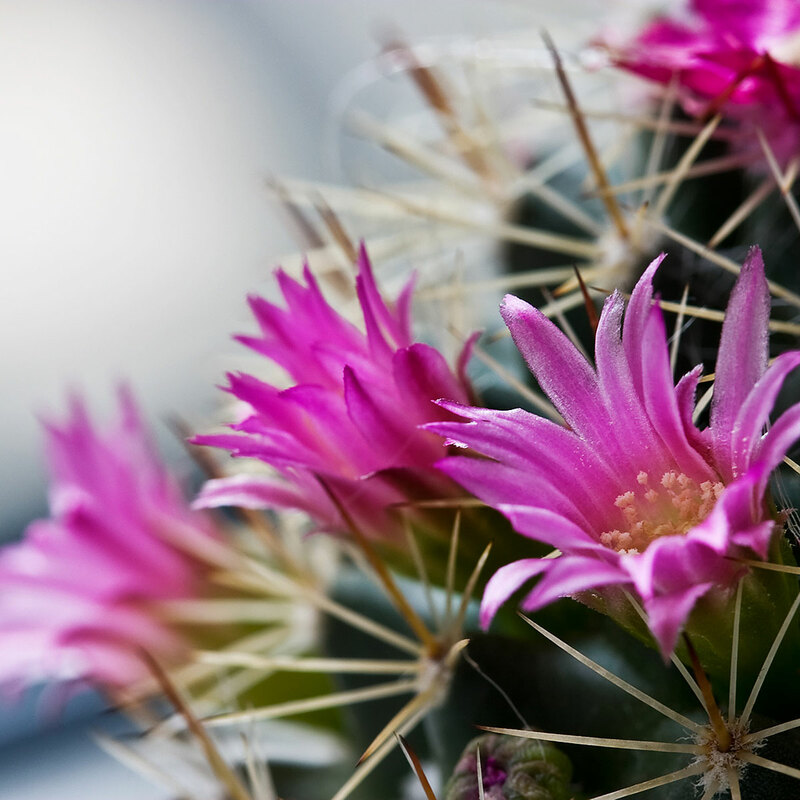 Are you looking for the perfect plant for your landscape? Whether you're converting your grass to a new water-smart landscape or simply looking to add some color to an existing one, we've got the plant for you! As drought continues in Southern Nevada, it's more important than ever to reduce and prevent water waste throughout the community and in your home. 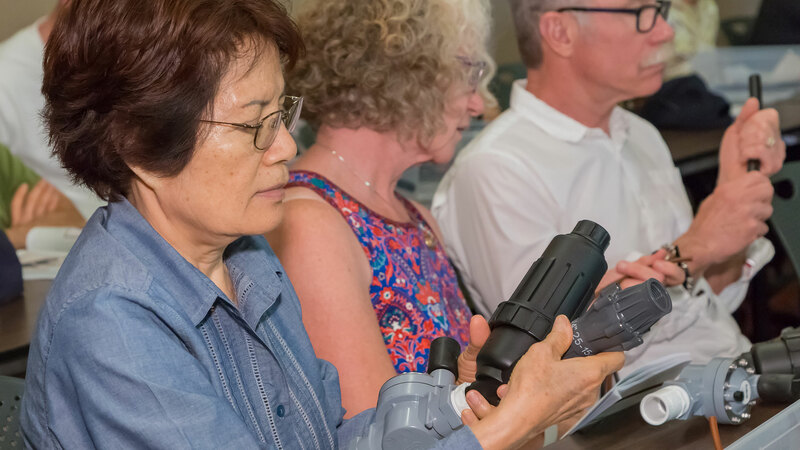 Attend one of our free landscaping classes and learn from an expert how to build a drip irrigation system or create a water-smart landscape. Irrigation controllers come in all shapes and sizes, but making a few simple adjustments will help you comply with spring watering restrictions. How is Southern Nevada responding to the drought? 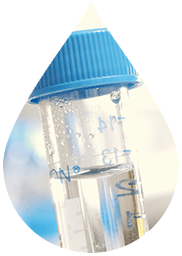 What lengths are taken to ensure the safety and quality of our drinking water? What can we do as a community to increase conservation? Request one of our experts for your organization’s next meeting or event and get answers straight from the source to these and many more questions. 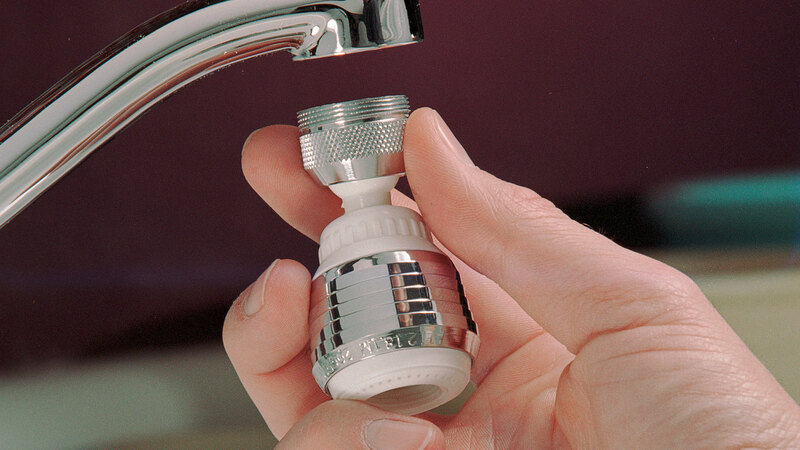 Upgrade to water-smart landscaping and water-efficient fixtures and devices. 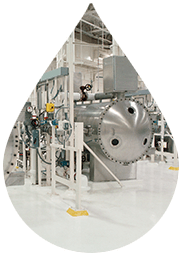 You'll receive rebates and a healthy return on your investment for your business through water savings. 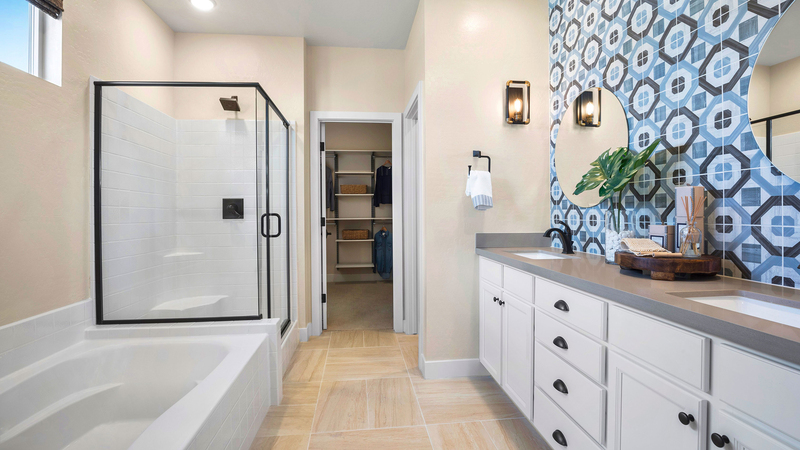 Living a water-smart lifestyle is easy when you purchase a Water Smart Home, complete with water-smart landscaping and water-efficient appliances. 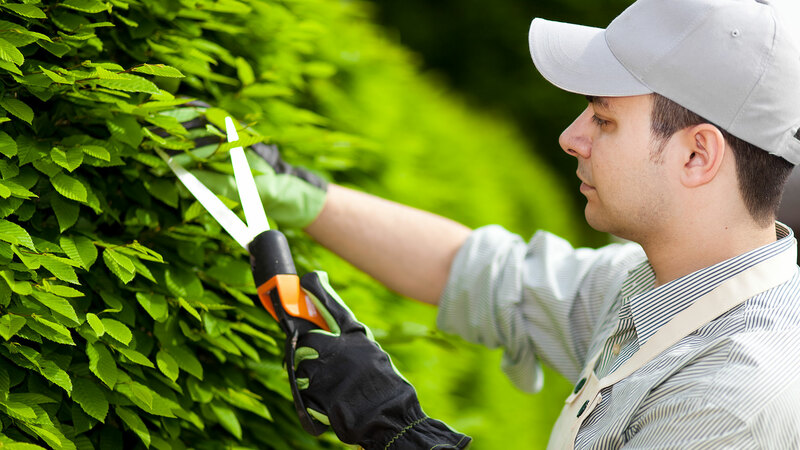 Looking to make your yard even more beautiful and water-efficient? See how a Water Smart Contractor program participant can take your landscape to the next level. Curious about the water efficiency of your home? Request a free indoor water audit and retrofit kit! 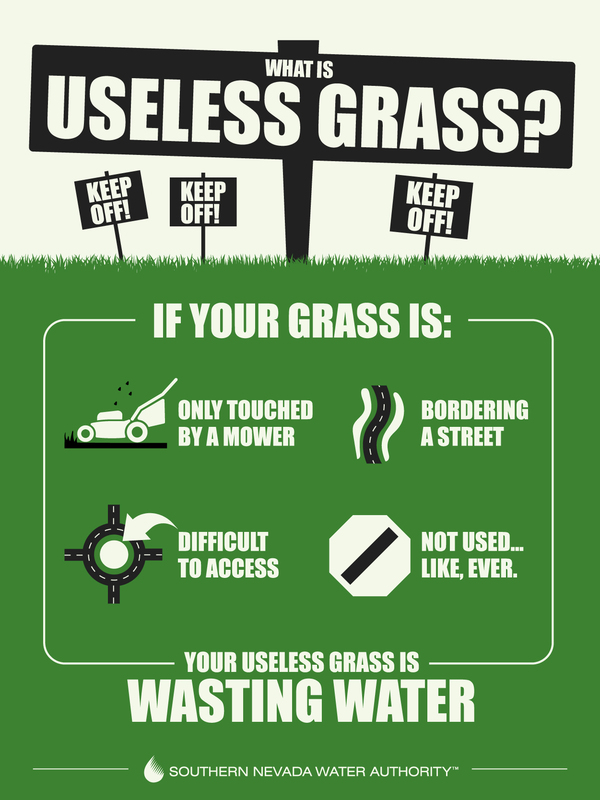 If your grass is only touched by a mower, bordering a street, or hard to get to it's useless and a waste of water. 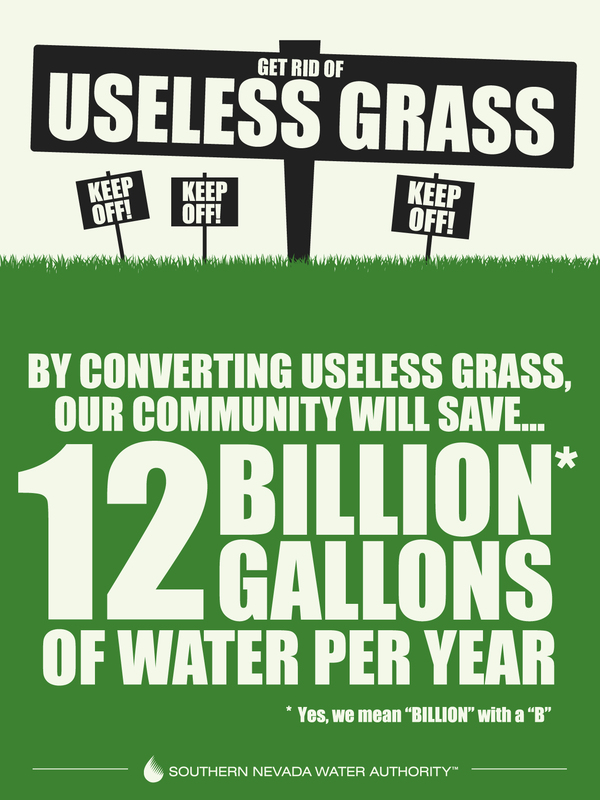 Our community can save 12 BILLION gallons of water per year by removing useless grass and replacing it with water-smart landscaping, which makes a big difference when we are facing worsening drought conditions. 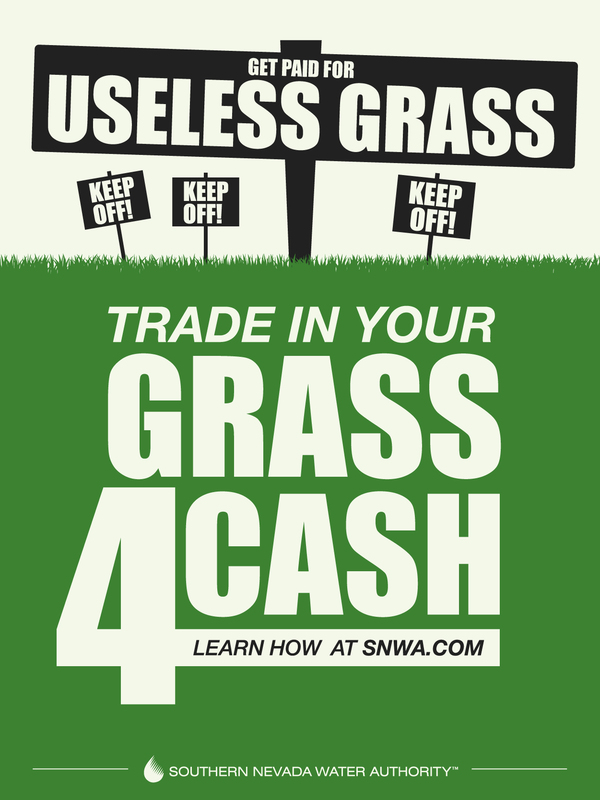 The Water Authority offers a rebate of $3 for every square foot of useless grass replaced with water-smart landscaping.